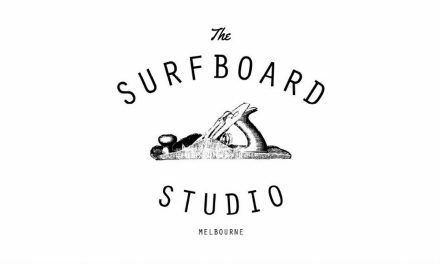 Designing and shaping your own surfboard offers an exciting experience, allowing you to see a surfboard take shape under your own hands. Surfboard designs vary, and it’s important to know the basics of surfboard design before you start your exciting shaping journey. The three main aspects of designing a surfboard include the components of surfboards, the type of surfboard and the materials used. Before shaping your own board, make sure you understand the basic components of a surfboard, as well as how those components affect surfboard designs. Board length and width are an important part of surfboard designs. The length of the board is the measurement from the board’s nose to tail. Longer boards provide better stability and paddling power. Both the surfer’s ability and weight impact the suggested board length. The width of a surfboard is the measurement of the board’s widest point. Wider shapes allow shapers to reduce the length without needing to sacrifice planing or paddling speed. The width also affects turning radius and riding style. The nose, or the board’s front tip, affects nose riding, wave entry and paddling ability. At the back of a surfboard, you’ll find the tail and the tail’s design affects the board’s performance. Different tail shapes include diamond, pin, squash, square and swallow, and each shape has different performance characteristics. The outer edges of a board are called the rails and the design of the rails affect planing speed, turning and tube riding. The rocker is the curvature of the board’s profile. Foam blanks have a specific rocker that may be slightly altered. However, dramatic rockers provide the ability to easily deal with tight turns and steep drops, but will slow the board a bit when surfing a straight line. The bottom contour of a board affects it’s riding style, turning ability and its speed. Convex bottoms, often known as a hull, sit lower in the waves, providing a smooth, slower ride. Concave bottoms create lift and stay on top of the water while shooting out water from the back of the board. For an easily maneuverable and fast ride, concave bottom designs make an excellent choice. Surfboard fins help propel the board forward while also dictating drag vs. speed, drive, turning radius and the surfboard’s overall performance. Single and twin fin setups are common, tri and quad fins are less common, and the five fin setup is rarely seen. The rails of the surfboard generally affect the deck, which is the top of a surfboard. Common decks include step, flat and domed decks. Every deck comes with a unique feel and specific performance benefits. 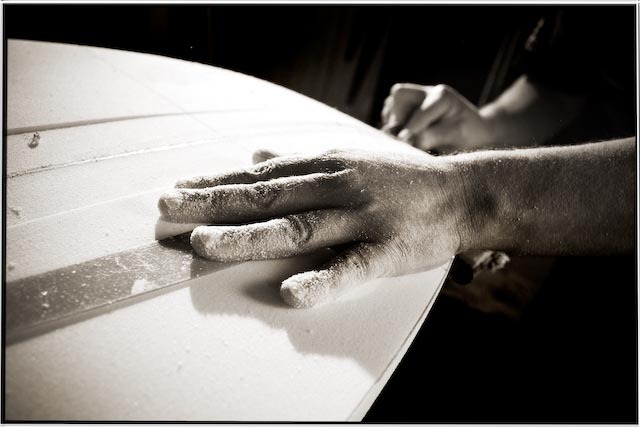 The distribution of surfboard foam from the tail to nose is referred to as the board’s foil. The thickness of the board at the tail, middle and nose significantly affect the board’s performance. Understanding the basic components of a surfboard will help any shaping beginner better understand surfboards. Once you know the components and how they affect board performance, you’ll be better able to begin using that knowledge as you learn to make your own surfboard designs.